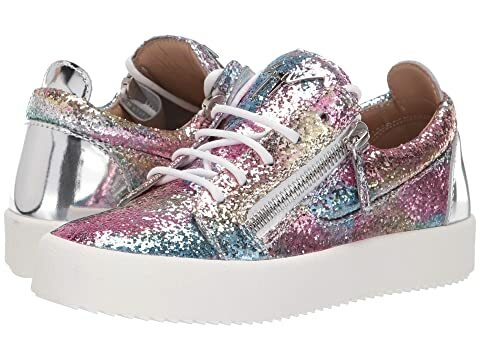 Inspire yourself and ignite the passion for supreme style with these Giuseppe Zanotti™ Low Top Sneakers. Lace-front closure with functioning side zippers for easy on-and-off. Pull-on design and pull-tab in back. Brand name logo hardware featured on tongue. Durable and stacked rubber sole. We can't currently find any similar items for the RW70005 by Giuseppe Zanotti. Sorry!